Sydney truly got their 50th Anniversary of Rock ‘n’ Roll treat last Saturday when Elvis’ TCB Band, Sweet Inspiration Myrna Smith and Australia’s Mick Gerace performed at the Sydney Casino. In December last year Mick Gerace presented a similar show, so this time the audience was hoping for something special – and the band certainly delivered! 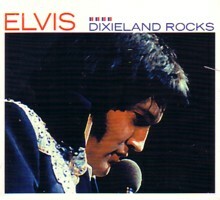 The first half of the concert highlighted Elvis’ early career and allowed the musicians to do something new; playing Elvis’ songs in their original style rather than the “Las Vegas” versions. While the focus was seeing these great musicians performing live, the real highlight was seeing them perform songs that I had never heard them play before. The importance of ‘That’s All Right’ was mentioned but the real joy was hearing the TCB band performing it in Elvis’ classic 1954 rockabilly style. With a delightful grin on their faces, here were James Burton & Jerry Scheff cuttin’-it-up Scotty Moore & Bill Black style! From the sly, knowing smiles on their faces you could see just how much the TCB Band were enjoying the opportunity to play something different. The crowd exploded with appreciation and the treats continued with ‘Good Rockin’ Tonight’ before they launched into a suitably haunting ‘Heartbreak Hotel’. 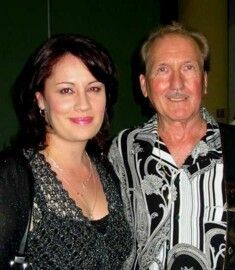 Guitarist James Burton has always said that no matter how many times he plays a song he always likes to add in a new twist to keep it fresh & exciting and this definitely was the case tonight. Mick Gerace also took time out to let the band members reminisce on life with Elvis. 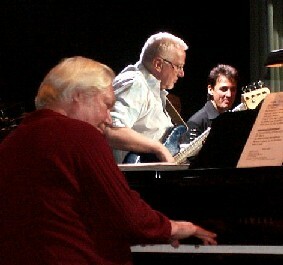 Both Jerry Scheff & Glenn D. Hardin spoke more tonight than I have ever heard them before and were in excellent humour. Jerry told the cute story of meeting Elvis for the first time and how he had to admit to Elvis that he didn’t even like his music! Elvis replied, “Don’t you worry about that. We’ll just play the blues!” This was the perfect introduction to one of Elvis’ greatest songs ‘Reconsider Baby’ a real highlight of the first set. Mick Gerace was the perfect frontsman giving the band plenty of spaces to solo and this great blues number gave all the band members time to shine. Jerry Scheff also made the fabulous comment "You can't be smiling if you're playing The Blues", but while they all got down with some fabulous blues they still couldn’t stop smiling with delight! More highlights from the first set were the surprise of hearing the band playing a fabulous ‘Viva Las Vegas’ (a real TCB Band rarity) and ‘Rubberneckin’’ which featured some very fine backing vocals from Myrna Smith & a blistering guitar solo from James Burton. ‘A Big Hunk O’ Love’ then provided Glenn D. Hardin with a chance to show off some fast rockin’ Jerry Lee Lewis piano work. The history lesson of the first half also had the perfect end, with Mick Gerace’s committed performance of the ’68 Comeback classic, ‘If I Can Dream’. While the TCB Band was the focus of the evening, the extra musicians that added to the brilliant overall sound also deserve a lot of credit. Ronnie Tutt was unfortunately unable to attend due to his touring commitments with Neil Diamond, however Sydney drummer Mike Hague did an exemplary job in filling in. 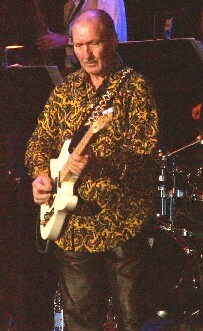 Mike Conway on rhythm guitar was also an excellent foil to James Burton. Backing vocalist Nadine Cook stirred the emotions with her great ‘American Trilogy’ flute solo and Robert Anderson provided some excellent harmonies. 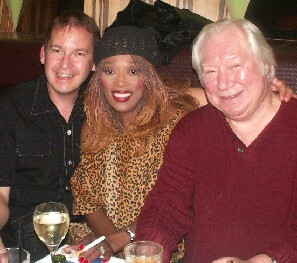 His work on ‘Don’t Cry Daddy’ put Elvis’ Charlie Hodge to shame! Not only is 2004 the 50th Anniversary of Rock ‘n’ Roll but, as Mick Gerace pointed out, the 35th anniversary of the TCB Band getting together to be Elvis’ definitive live band. The second half of the show focussed on the years that the boys spent with Elvis and the intensity increased when they returned to the stage with a powerful ‘See See Rider’. Once again that classic rumble from Jerry’s bass brought smiles from all the musicians as they nailed a perfect ‘Burnin’ Love’. The second set was one highlight after another with ‘Never Been To Spain’ letting James Burton open up, as well as let the 5 piece brass section really shine. ‘Proud Mary’ was perfect for some call & response from the backing vocalists and ‘Steamroller Blues’ had them all dancing to the beat. Myrna Smith charmed everyone as she sang and danced with the energy of a teenager, and she also delighted the crowd by singing a spontaneous ‘Happy Birthday’ to members of the audience. Mick Gerace was once again the perfect foil for the band, creating the soulful feel of Elvis while never over-imitating The King. His interaction with the band on ‘Polk Salad’ was just right. With Mick saying, “Take it Jerry” that wonderful throbbing rhythm started and we knew that everything was going to be all right. Let’s face it, ‘Polk Salad Annie’ without Jerry Scheff ain’t no salad at all! (What was Elvis doing with Duke on stage in 1974?!). Tonight Jerry Scheff also seemed to be 10 years younger than when I last saw him and his playing was a true delight. The Casino Showroom sound was excellent, letting you enjoy the power of Jerry’s bass playing as well as highlighting James Burton’s classic telecaster guitar work. ‘Suspicious Minds’ had the complete band sounding as good as any Elvis concert you have heard! More rare treats were an impassioned ‘My Boy’ & ‘Help Me’ along with a poignant ‘Always On My Mind’ that had the crowd on their feet. 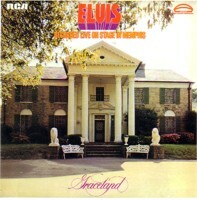 (What a real shame that Elvis never played it live.) 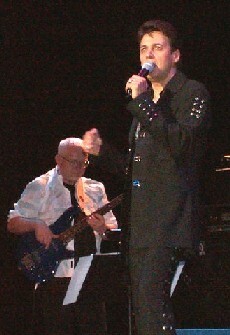 Before the finale, Mick Gerace introduced his own song (co-written with his daughter) ‘The Spirit Of Elvis’. A touching song, and what a treat to have the TCB Band performing it. Verdict: A magnificent night and for some EIN Members the final treat was spending some time with the band at the after-show cocktail party. Despite performing on stage for over 2 hours they were all so gracious & accommodating as they chatted to fans and signed autographs for everyone lucky enough to be there. A perfect night! Click here for EIN's interview with Sweet Inspiration Myrna Smith. 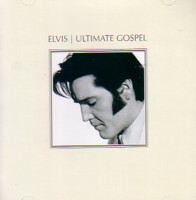 Click here for 2006 'Elvis Presley In Concert' information & review.